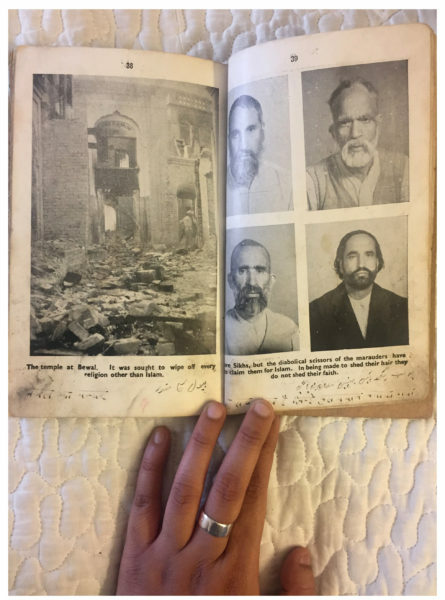 I sat beside my grandfather, Bharat Bhushan Anand, as he ran his wrinkled old hands through the piece of paper that seemed weathered and worn beyond repair. Torn from the creases in its surface, it didn’t look like it had aged well. It was discoloured, its corners were curled in, and every edge held several well-settled folds. 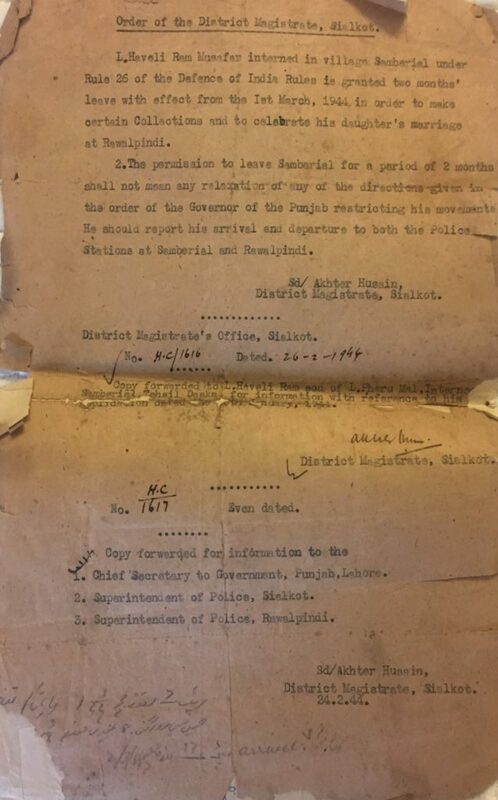 This piece of paper was in fact, a letter of approval from the Punjab Government in the year 1944. 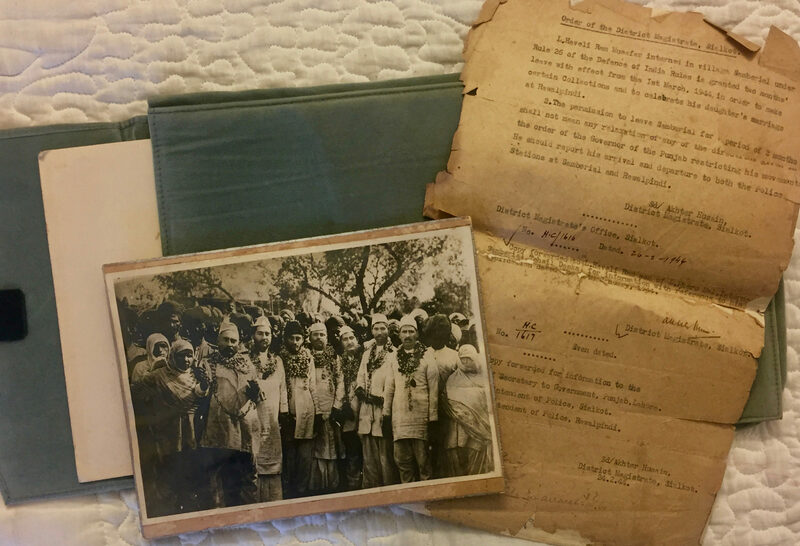 As I leaned in slightly to read the content of the rugged sheet in his hands, he began telling me about his father, and the original background of the letter. Those were the days of catastrophe when the world was engulfed in a bloody war. 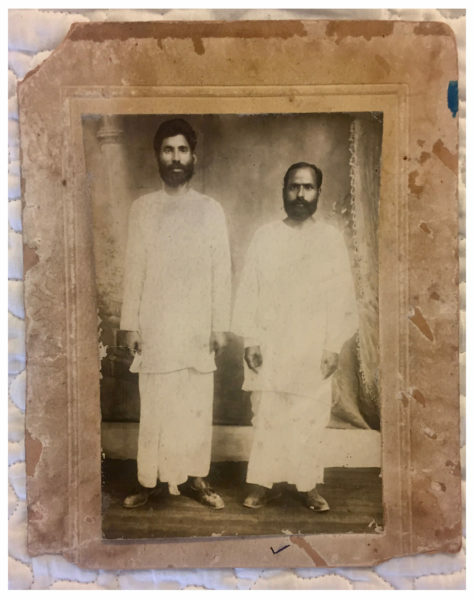 Shortly after Mahatma Gandhi launched the Quit India Movement in 1942, my great grandfather, Haveli Ram Musafar, was one among many who spent time behind bars. He was a freedom fighter, a husband and a father of 6 children – a daughter and five sons. A member of the Indian National Congress (INC), he was also the Congress Captain in his locality in Rawalpindi. While recounting tales of his fervent patriotism, my grandfather told me that Haveli Ram Musafar once wore a badge of the INC, which displayed a photo of the great Gopal Krishna Gokhale on it, and was asked by a British officer in the area to remove it which he completely refused to do so. It is believed that during the independence struggle, going to jail was a matter of prestige – it showed that one would do anything for one’s independence. It was considered a small yet important victory against the colonial powers. And so, for partaking in the Quit India Movement, Shri Haveli Ram Musafar was chained and sent off from the locality in Rawalpindi to jail along with his friends and accomplices- not just once, but several times. In March 1944 he found himself in prison once again. 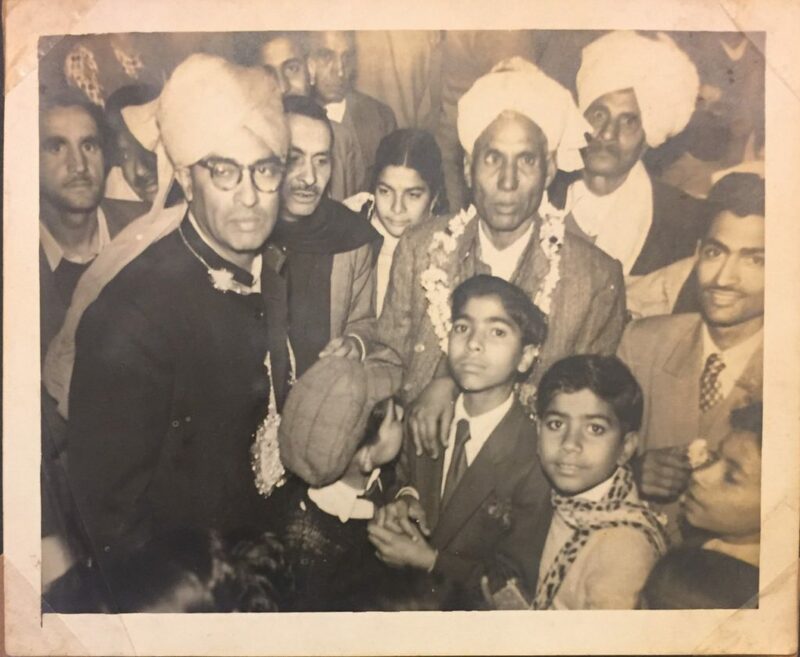 However this time, it was crucial that he be released, if only for a short period, for his eldest and only daughter, Krishna Chadha’s wedding was to take place in Rawalpindi. He wrote a letter to the then Punjab Government asking for a two-month leave (parole). He was jailed in a town called Sambrial in the North-West Frontier Province, modern day Khyber Pakhtunwa Province, in Pakistan, not very far from where the wedding was to be held. To his relief, he was granted the leave, but there were stipulations to be adhered to. A part of the approval document states the following, “The permission to leave Sambrial for a period of 2 months shall not mean any relaxation of the directions given in the order of the Governor of Punjab restricting his movements. He should report his arrival and departure to both the police stations at Sambrial and Rawalpindi.” He attended his daughter’s wedding and returned back to jail with dignity to serve his term. My grandfather tells me that these men were subject to torture during their days behind bars- denied food, water or any basic needs. But nothing seemed to deter their spirit. 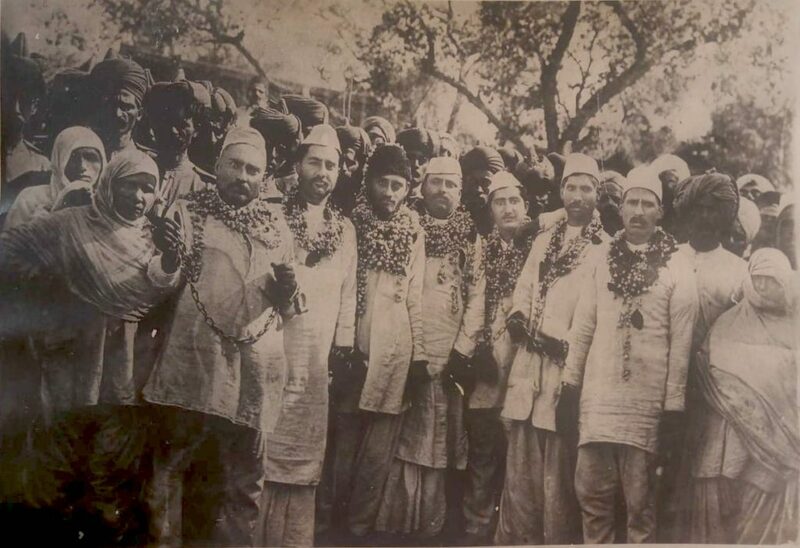 My great-grandfather, and many others in his close-knit circle, believed in anything that would lead to a fight against the British Raj, be it Gandhi’s peaceful methods or Subhash Chandra Bose’s extremist ideologies. Apparently, they once even set the income tax office in Rawalpindi on fire. In order to save the others from the charges testified to in court, one of my great-grandfather’s comrades, Harbans Lal, took blame for this incident and committed suicide in court by consuming paan (betel leaf) filled with poison. That was the extent of their dedication. I know little about my great-grandfather’s past, but I do know that he stayed away from home for days and weeks. His family had accepted the fact that his life’s purpose was to fight for the country’s independence till the end. Be it helping extremists or travelling for days at a time, he would do what it takes. The title ‘Musafar‘ was given to him by his fellow comrades because he travelled all through the North- Western terrain of India that led up to the Afghan border for the freedom struggle. Another reason that the title was conferred upon him was because he was also a poet. People hardly associated him with his original surname ‘Anand’ but rather, with ‘Musafar’. In fact, even on this letter you can see that he used the same name. Apart from his nationalist interests, he was a businessman and had a contract of supplying fruits and vegetables to the jail canteens. However, over the years, the supply business had incurred major losses due to his active involvement in the Congress, and the jail authorities revoked the contract after which the business shut. Fortunately, he also owned a cloth shop, which is where most of the family income would be earned. I first saw this letter as a 10 year old, when patriotic movies like Lagaan and The Legend of Bhagat Singh were released. My grandfather noticed my interest in history and showed me the letter but I never understood its significance, and nearly forgot about it until 2017. 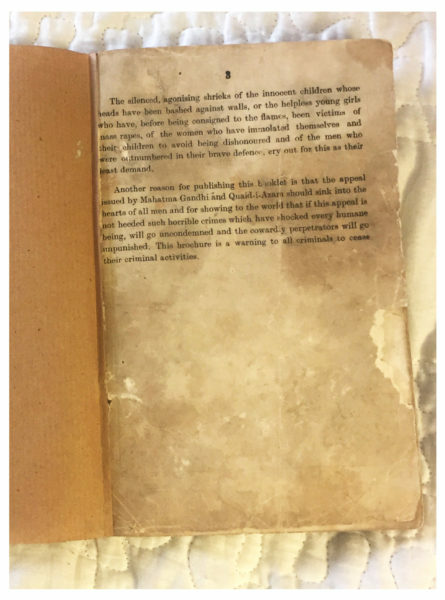 It was only then that I realised that this has seen more of India over the years than I have- travelling wherever the family moved to- and yet it remains in readable condition. 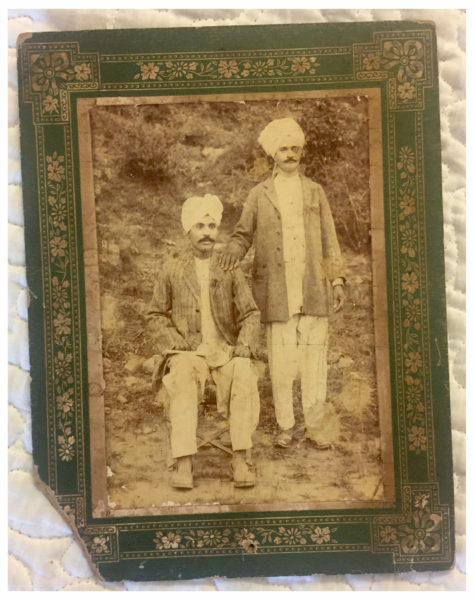 This letter came in the box of photographs that were brought to Delhi from Rawalpindi in 1947 and was inherited by my grandfather right after till the day he breathed his last in 2015. He always kept this letter with him as one of the strongest memories associated with his father. 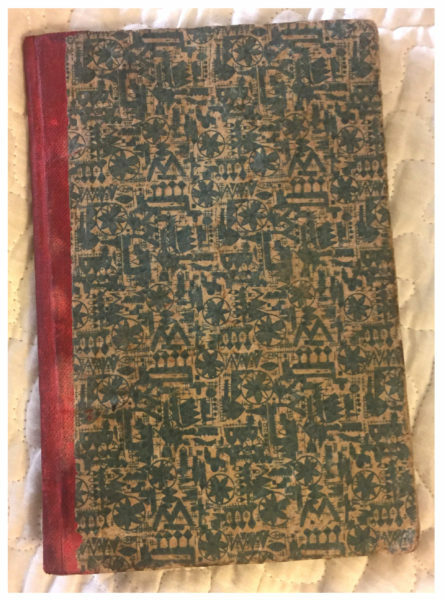 It has travelled from jail in Sambrial to Rawalpindi, from Lahore to Amritsar on its way to India in 1947 – where my grandfather worked as a volunteer with the Indian army at a refugee camp – to Ambala where he studied and from there to the Nawabganj area of Delhi where his entire family had settled. 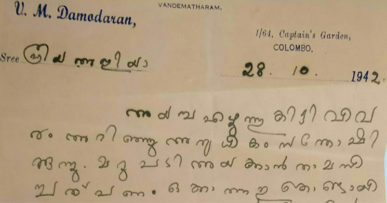 Since he was not a person confined to one place and often travelled across India because his profession demanded it, this letter also visited cities like Madras and Calcutta. He finally settled in Bombay and travelled to places like Vadodara and Bangalore to meet his children and grandchildren. This is how some of his objects of the partition landed up with me in Bangalore. 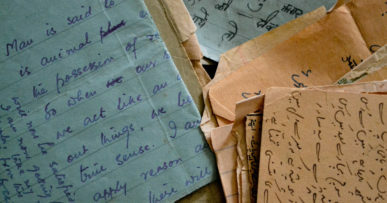 While crossing over the border on a tanga (horse-drawn carriage) during the Partition, the family was asked to leave everything behind for fear of being looted or murdered along the way, but some objects, including this letter, were hidden and brought across to remind them of a life they were leaving behind. My grandfather never spoke about the letter much, but would always emphasise on the fact that our family had a significant contribution to the freedom struggle while talking about the present day political scenario, which was never pretty. This reality was not what his father fought for. And as a result of this past, there have been some traits which have been passed down through the generations, like the feeling of patriotism and social service; though nothing can ever quite equate to the sacrifices my great-grandfather has made for our country. This letter is a noble reminder of what our family ideals are and what our forefathers have done for India. I personally haven’t done much for the country yet other than paying my taxes on time, but owning an object such as this allows me to never forget how much more there is left to do. But times have changed and how. Somewhere between the years we’ve forgotten our past and moved on in our lives. We all say, curse and never do, but my great-grandfather did. He made the ultimate sacrifice and practiced what he preached. His life and the incredible worth of his actions is what the letter makes me think of every time it’s in my hand. Well written article that has brought to life my interactions with my grandmother. Maybe we should compile all such stories before it’s forgotten or sacrificed on the altar of liberalism. Thank you so much, Rishi. Please do reach out if you have any such stories, we would love to feature them on the Museum site! Thank you so much Rishi bhaiya 🙂 you are right when you said that history has been forgotten in the midst of sci fi and Netflix. Will catch up with you when in Bombay. Would love to hear about these.